Having children means an introduction to the wonders of baby wipes. 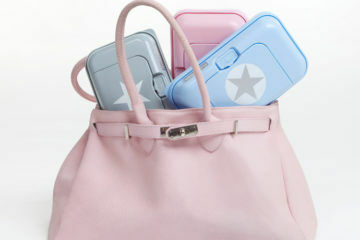 They’ll be a mainstay in your shopping trolley even once your kids are adults. 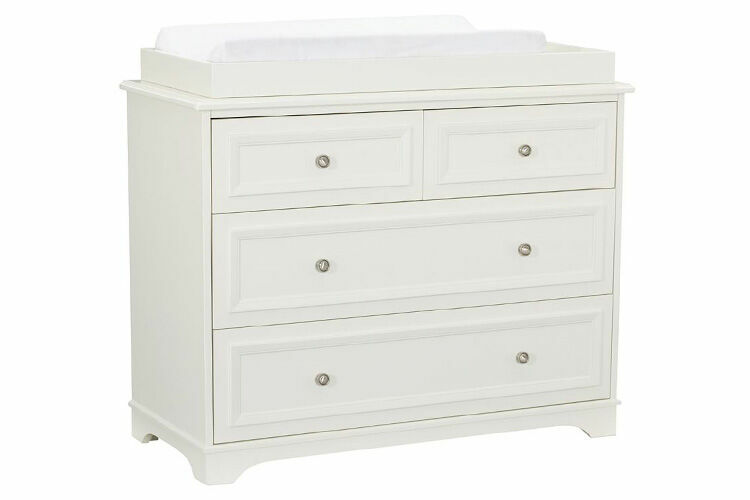 Finding the best baby wipe for your family means weighing up things like the ingredients, cost to your budget and the environment, and how well they’ll do the job. 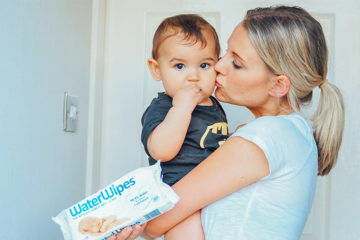 We asked our Pregnancy and Baby group members to recommend the best baby wipes they’ve used and these are the brands they recommend. 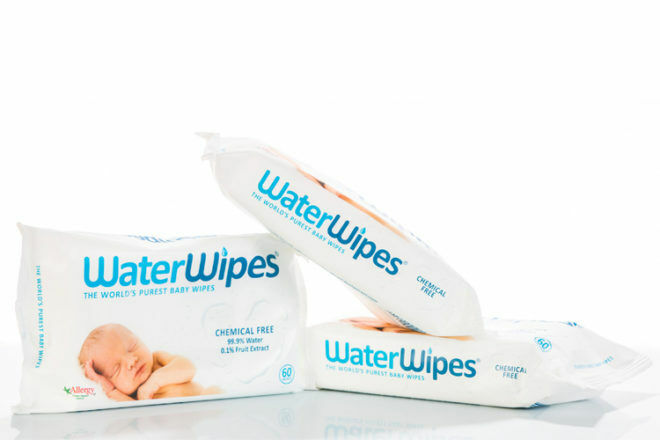 WaterWipes ($7.95 – 60 wipes): The world’s purest baby wipes made almost entirely of purified water and a dash of fruit extract. Just like using cotton wool and cooled, boiled water with the convenience of packaged wipes. 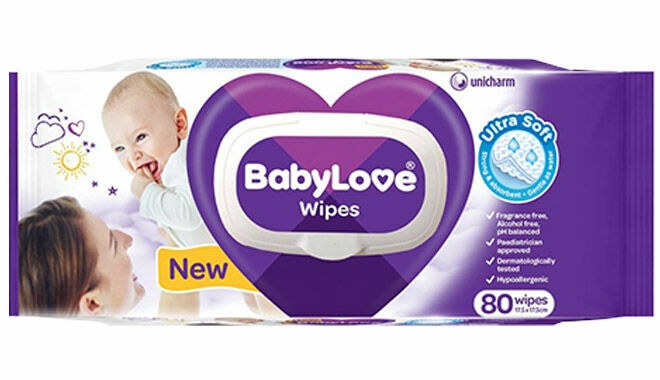 “I love them have only ever used WaterWipes with my three-year-old and now with my newborn. Never had a nappy rash. 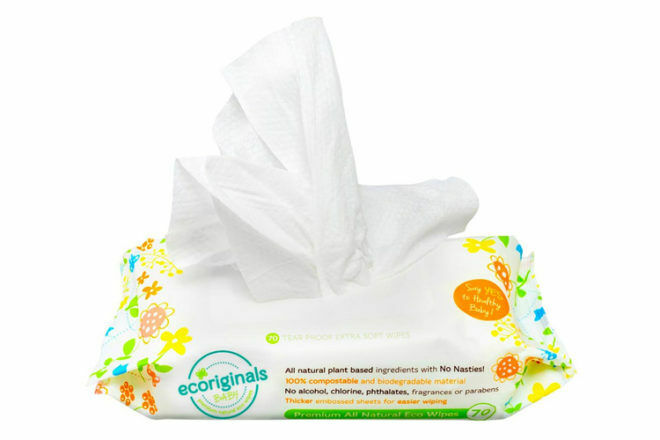 They are really wet which means you don’t have to keep wiping over the area and they are very natural basically all water and .1% grapefruit extract.” – Lisa B.
Ecoriginals Wipes ($6.95 – 70 wipes): Made completely from natural, plant-based ingredients, these wipes are also compostable and great for bubs with sensitive skin. Also includes soothing ingredients like chamomile and cucumber. “Ecoriginals are the best! 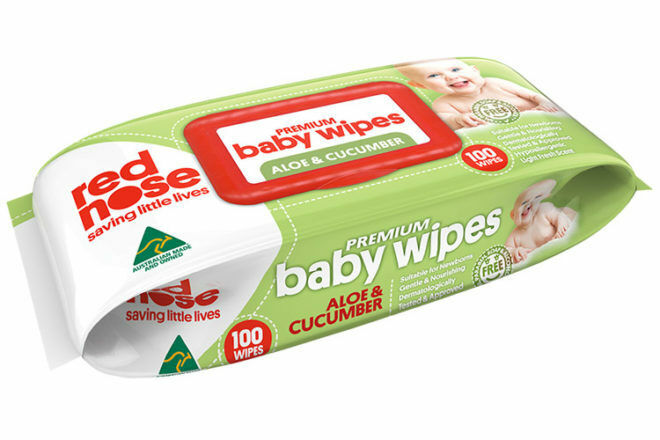 Gentle on bub, no harsh chemicals, plant-based so biodegradable and they have little bumps that help grab the mess. They pull out one at a time and you get them delivered to your door on a subscription.” – Natasha R.
Red Nose Wipes ($35.97 – 900 wipes): Designed for sensitive skin and enriched with Aloe Vera and chamomile to soothe sore bottoms. 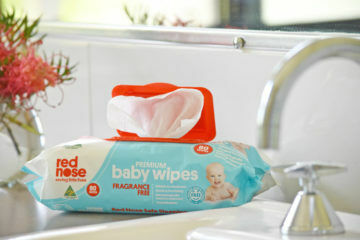 The purchase of these wipes helps fund Red Nose research and education on SIDS. “They aren’t too wet and they aren’t too dry! They also don’t have heaps of extra crap in them! 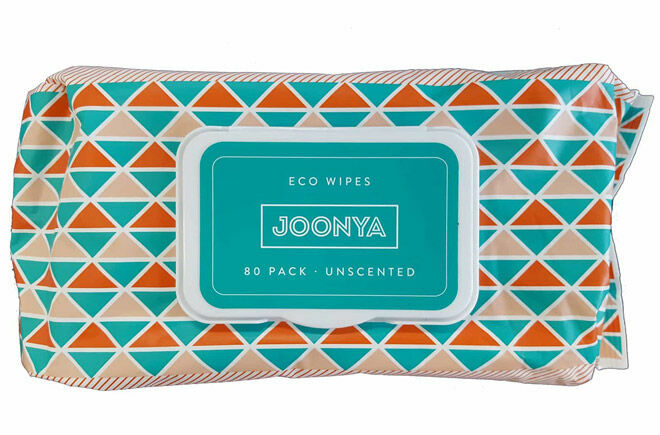 My first was allergic to other wipes so I tried these and fell in love.” – Bec P.
Joonya Eco Wipes ($69 – 960 wipes): Suitable for any skin type these wipes are non-toxic and biodegradable. They are completely made from viscose material derived from plant fibres and even the packaging is recyclable. 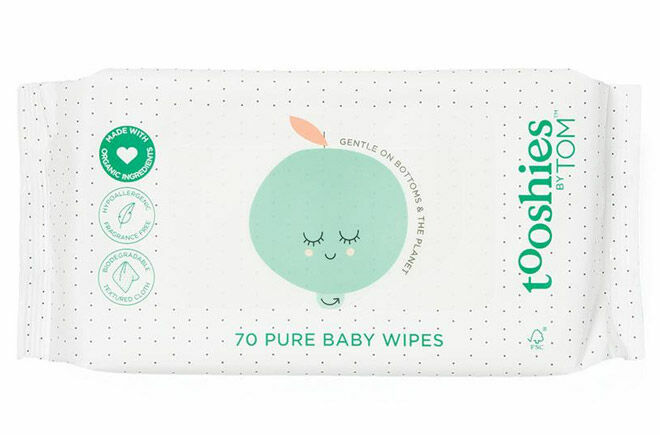 Tooshies By Tom ($49 – 420 wipes): Textured wipes made from plant-based, organic ingredients that nourish and soothe as they clean baby’s bottom. Made from FSC cellulose fibre, they are also biodegradable. “We have been using these wipes for a number of months now, and have been left impressed with the reduction in our son’s nappy rash. 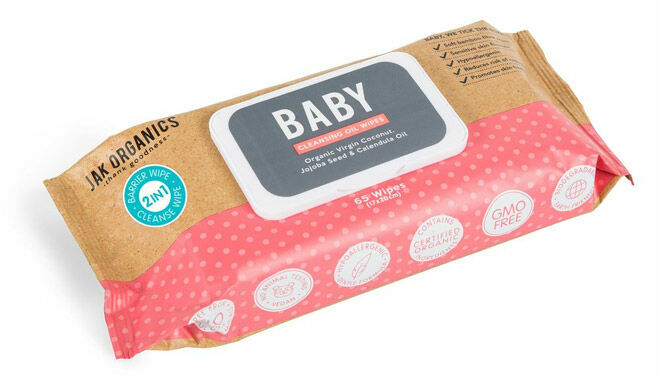 Love the organic goodness in these wipes and the fact they are biodegradable. 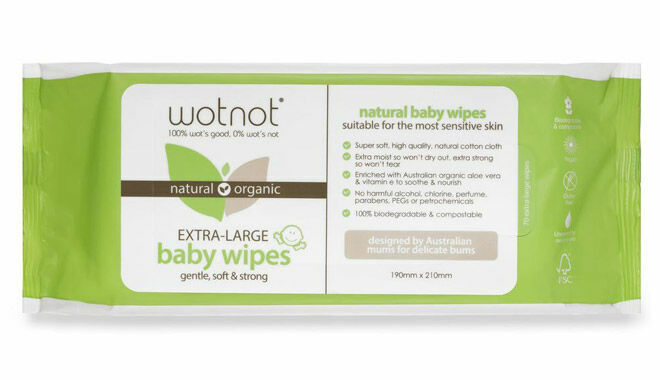 Highly recommended to new parents who are seeking wipes that are devoid of nasties.” – Tarryn A.
Wotnot ($6.99 – 70 wipes): Award-winning wipes that are chemical free and compostable. Gently cleansing with Australian organic aloe vera, and just as effective on faces and hands as they are on bottoms. “These baby wipes really are the best that are in the market right now, they are a lesser known brand but they smell beautiful and they are completely biodegradable and don’t contain nasty ingredients. 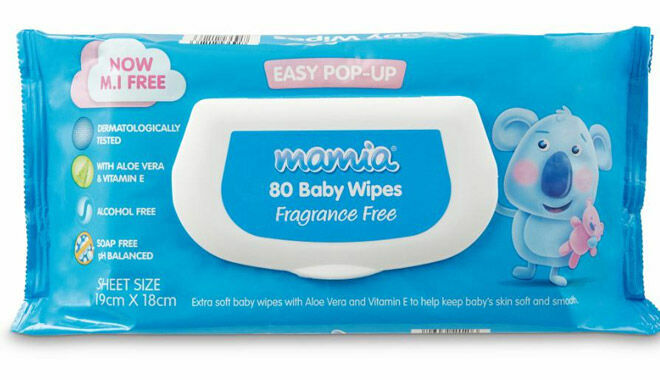 They are large and very durable and leave a subtle soft scent on the skin (but they are fragrance-free – it’s just the essential oils).” – Holly D.
Aldi Mamia Fragrance-Free ($1.89 – 80 wipes): Aloe vera and vitamin E enriched, extra soft wipes that are alcohol and soap-free. Thankyou Thick Baby Wipes ($6.49 – 80 wipes): Fragrance-free these artesian water-based wipes are made using 98 per cent natural ingredients. Each pack of wipes also helps fund safe births or health care for mums and babies in need. “Thankyou brand wipes are thick and don’t hold any nasty chemicals. I used both nappies and wipes in the Thankyou brand I won’t use anything else. If I’ve been gifted other brands I PIF to a Mum in need because I personally don’t like using anything other than Thankyou.” – Melanie V.
BabyLove Wipes ($3.95 – 80 wipes): A gentle clean thanks to aloe vera, these wipes are fragrance, alcohol and paraben-free and pH balanced. “I’m loving BabyLove. 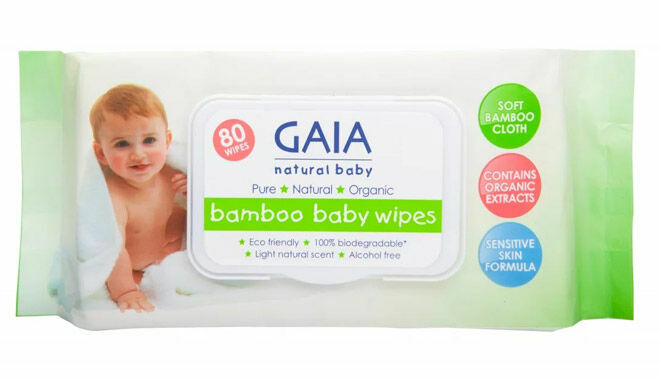 I like thicker wipes that come out the packet easily and don’t tear.” – Nicole S.
Gaia Bamboo Baby Wipes ($5.35 – 80 wipes): Made from biodegradable bamboo cloth, these wipes are strong but soft and soothing. 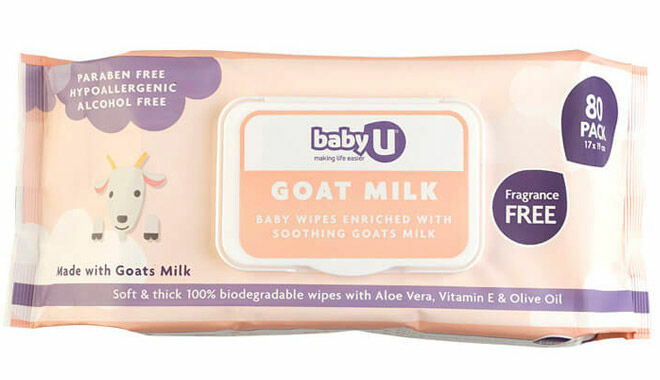 Baby U Goat Milk Wipes ($11.50 – 240 wipes): Biodegradable wipes that are enriched with goats’ milk. 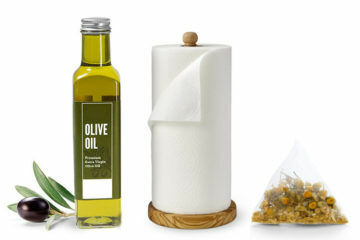 Also includes olive oil and vitamin E to soothe skin. “I used this wipe on my daughter when she was in a hip brace. It was so nice to clean her skin with as she couldn’t bathe for 12 weeks.” – Kara B.
Curash Simply Water Baby Wipes ($14.99 – 240 wipes): Irritant-free wipes that are made from 99 per cent water. Thick, soft and soap free. 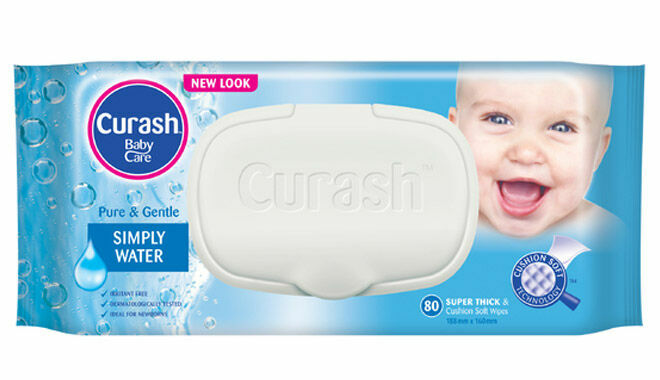 “Curash Water Wipes are the best! They are the only ones my daughter doesn’t react to.” – Joedy W.
Jak Organics Cleansing Oil Wipes ($8.95 – 65 wipes): Clever wipes that not only take care of messy bottoms but leave the skin with a layer of natural oil that works as a barrier to protect from irritation. Enriched with coconut, jojoba and calendula oils. “I use Jak Organics. 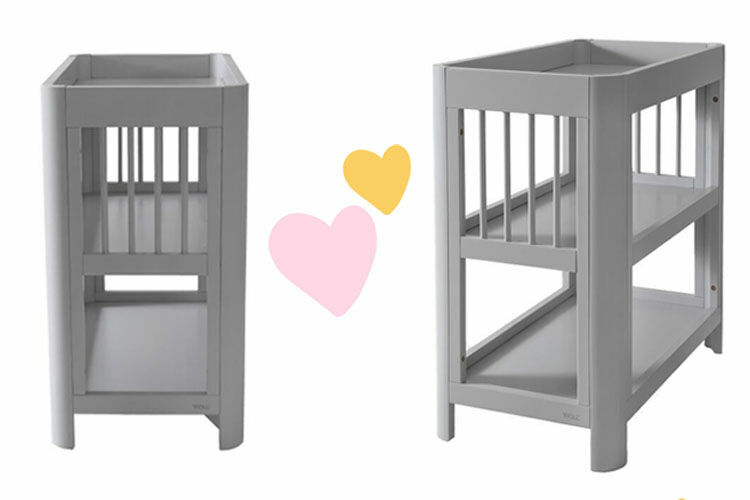 I got a free pack at the baby show and I loved using them when I had my baby in the hospital. 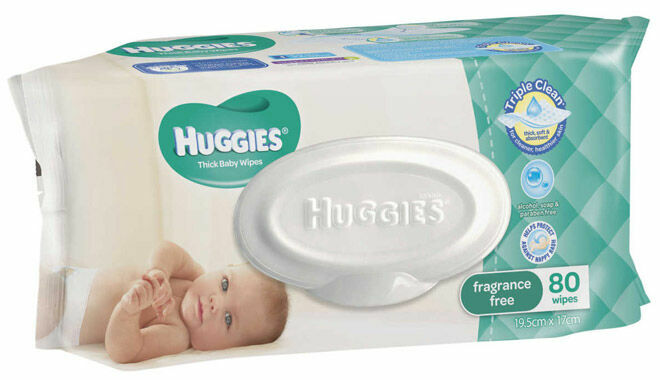 It has a barrier cream on the wipes and it was so good getting all that sticky meconium off.” – Hayley S.
Huggies Fragrance-Free Wipes ($5.95 – 80 wipes): The Swiss army knife of baby wipes, these heavy duty wipes can be used for cleaning baby’s bottom and dusting the house. Thick and easy to get out of the packet they are revered for their ability to clean big messes with minimal wipes. 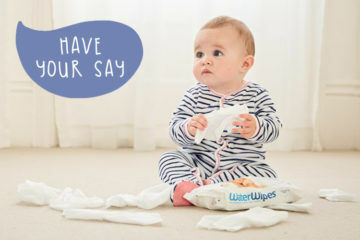 If you’re searching for the best wipes and you’re still not sure if any of these are right for you, continue your search online by jumping into one of our closed Pregnancy or Baby groups and ask thousands of other Australian mums what they recommend – ‘What to buy’ is the most talked about topics, followed by MIL vents!